Pine Crest School | Robert Colton, M.D. Robert practiced internal medicine and nephrology for more than 20 years. During that time, he conceptualized and co-founded MDVIP, the largest concierge medicine company in the U.S. Along with his wife, Andrea Colton, M.D., Robert founded a multi-location, easy-access dermatology practice, ClearlyDerm, in 2011. 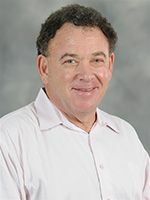 Robert is active in several academic and philanthropic organizations, including Florida Atlantic University's Charles E. Schmidt College of Medicine, Florida Atlantic University's School of Social Work, Founders Council of Washington University in St. Louis, Gurion University's Board, Board of the Jewish National Fund Board, and the Palm Beach County Jewish Federation. Four of Robert's children, Jana '96, Rebecca '01, Katie '04, and Emma '12, have graduated from Pine Crest. He and Andrea's son, Connor, is in 6th grade.